If ever something in the male wardrobe was misnamed it’s the loafer. It is, after all, the hardest working shoe around. Okay, so it’s not going to get you across moorland without leaving your feet very wet. And you might not go running in them. But in terms of crossing the smart/casual divide, such as it is these days, the loafer is a winner. Where Oxfords fear to tread, loafers look at home. So too for sneakers. Loafers look good with chinos, jeans, suits… you name it. If ever a shoe expressed freedom over formality, comfort over propriety, then the loafer is it as well. Indeed, for that reason alone the shoe – despite becoming a design open to endless upgrading and interpretation – feels quintessentially American. 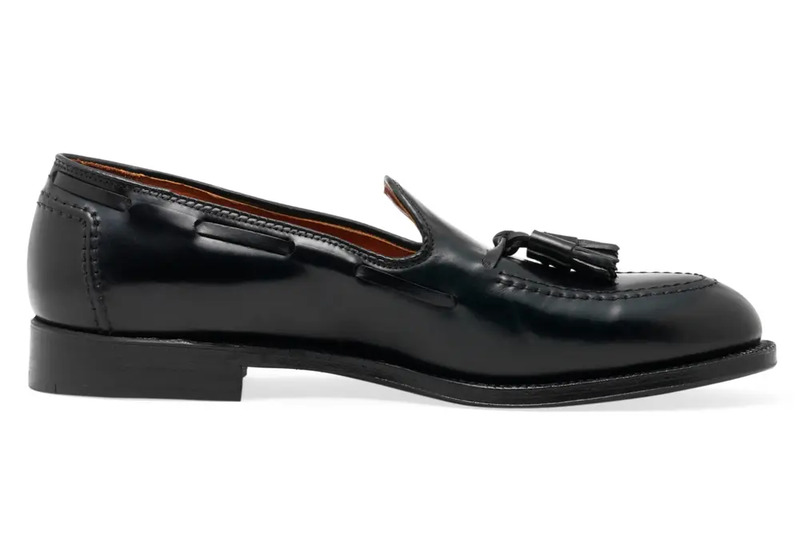 If the aesthetic of authentic Americana style is either workmanlike and functional or dressed-down and easy, then the loafer is somehow the embodiment of both. Maybe only the saddle shoe comes as close to symbolising Old Glory’s red white and blue. Not, one notes, the red, white and blue of the cross that forms the flag of the nation where the loafer actually originates: Norway. The hand-sewn moccasin-style shoe was traditional to the Sami people and Scandinavian fishermen, who for generations wore them when not at sea, which is to say when kicking back, or fixing nets. The shoe was spotted, back in 1936, by an American while on a tour of Norway. He just happened to be an employee of G.H. 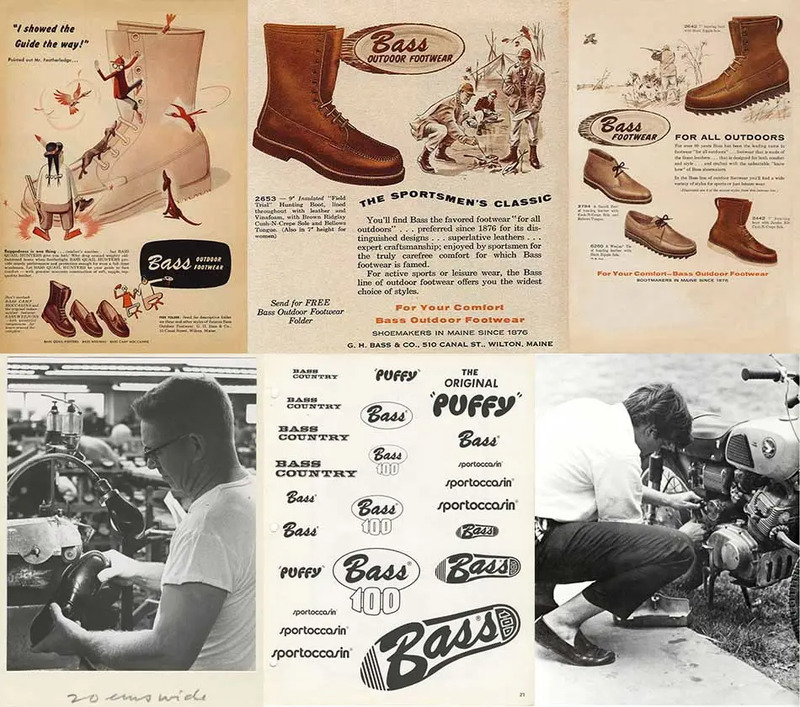 Bass, a shoe manufacturer based in Wilton, Maine. He took a pair back home and, reworking the style on a leather sole, and with a stiffer, shinier upper, the famed Weejun – named after “Norwegian” – was born. It was a deft example of cultural appropriation – and then complete transference – although some have argued that the moccasin is found worn by many ancient cultures around the world, native Americans included, and that Scandinavian merchantmen of the 18th century may actually have traded with them, importing the style back to the chillier climes of northern Europe. Others have stressed that Bass’ version was far from a simple rip-off, and more a complete reworking. Certainly, it couldn’t be: around the same time Spaulding, based nearby in New Hampshire, had launched its own slip-on style to a new audience looking for a shoe that specifically signalled its growing investment in leisure time – and it was this company that dubbed the shoe the “loafer”. Bass had to stand apart: so it added a decorative vamp saddle with a cut-out, diamond patterned slot to its version. In time, other manufacturers would seek to pioneer their own trademark detail on what was an otherwise minimalist silhouette – Alden and Brooks Brothers added a tassel, Sebago the “beef roll”, others a kiltie fringe. These were all superficial variations on the essential theme: a shoe of clean, almost modernist lines – doing away with those old-fashioned laces (how strange it is that in the 21st century we still fasten shoes with bits of string?) – but with the comfort of a slipper. No wonder it took off. Unfortunately, the leisure time for which it was created was rudely interrupted six years later when, so often late to the party, the US was dragged into World War II by the Japanese. 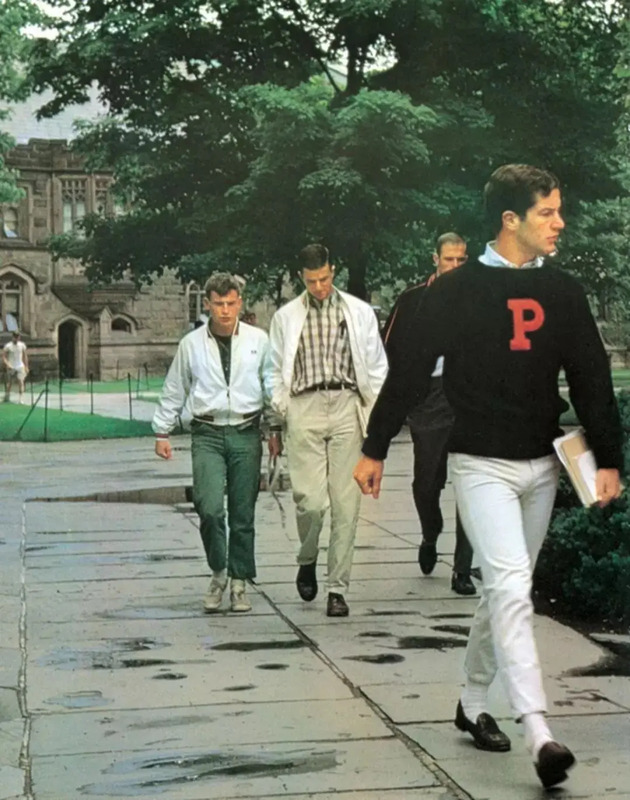 In fact, it wasn’t until the late 1940s and 1950s that the loafer would find its spiritual home: on the feet of monied Ivy League students and other privileged proto-Kennedys, who, in their khakis, letterman cardies and button-down shirts, saw them as a sufficiently conservative yet tantalisingly radical break from the stiff styles of their parents – for whom, ironically, the loafer was originally intended. But it was the loafer’s take up by Jazz Dudes like Miles Davis and Chet Baker that helped moved the shoe from classroom to cool. From there, James Dean and Elvis Presley ensured that wearing a pair with rolled denim and chunky white socks – cue Michael Jackson wearing the same because they better showed his fancy footwork – would become the teen American uniform. 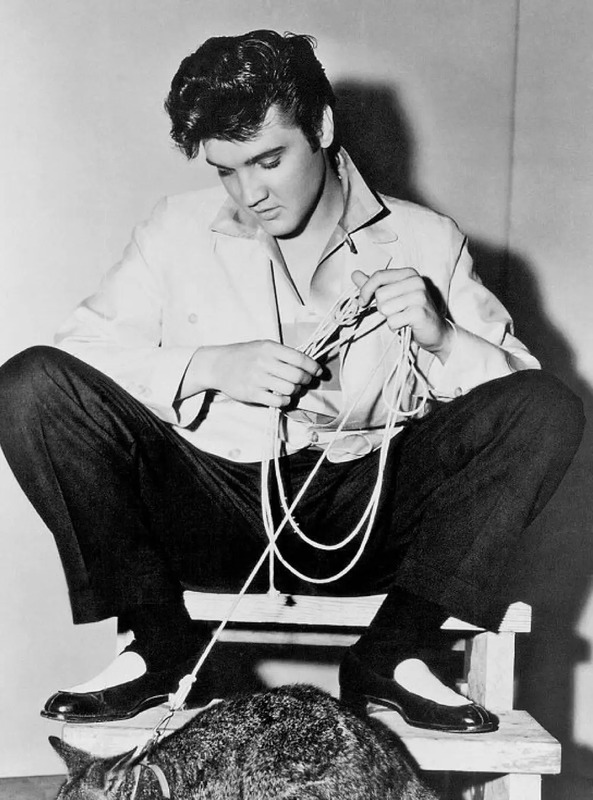 Elvis even dared to wear a pair in white. Wise men say only fools – or superstars – would do so. 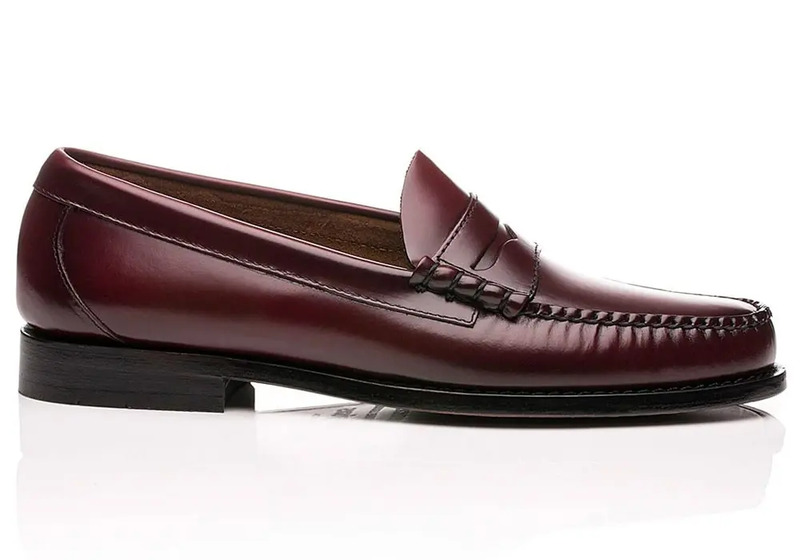 A loafer should be black, brown or, most useful of all, deep burgundy. 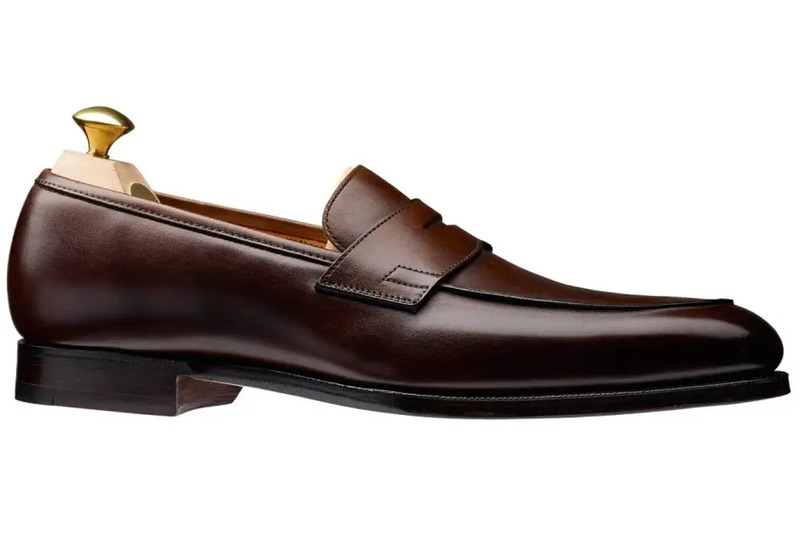 Socks aside, the loafer is the only formal-ish shoe that looks okay without any socks at all, despite the attempts of many self-described dandies trying to convince the world otherwise. Teens love a gimmick of course. And it was they, naturally, who started to wear a penny (i.e. a one cent piece) in the vamp slot on their Weejuns – apocryphally so they had the change to call home in an emergency, in fact more just as a good luck token. It was an idea so popular that, not only was what would fast become a generic style colloquially renamed the “penny loafer”, but companies the likes of Kerrybrooke would even sell a model, delightfully named the Teenright Smoothie, complete with coin intact. Around the same time, 1953 specifically, Gucci launched its famed version, with that distinctive horsebit bar across the upper. Indeed, don’t concern yourself with the thought that, despite its story of hardy seafaring, sultry saxophonists and mid-century icons, perhaps the loafer is still just that little bit too adolescent, that little too fey or slipper-like, especially next to those chunky brogues or hefty work boots. Picture, indeed, the man mountain John Wayne, parading around in his favoured Gucci loafers. And still nobody dared to call him Marion. Sold on the merits of this versatile shoe? 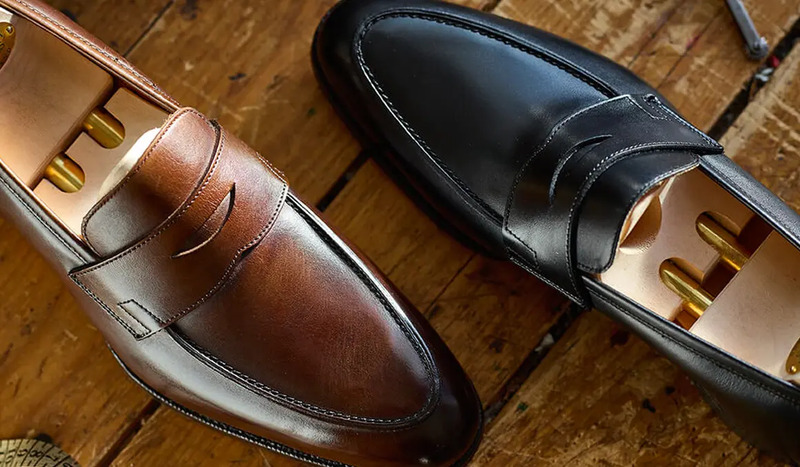 Below we present to you five of the very best loafer brands for men, along with Ape’s standout model from their range. G.H.Bass’ original Weejuns penny loafer design hasn’t been bettered in nearly 90 years, despite many brands trying (and failing). It’s easy to see why: it’s the epitome of simple, elegant design, and offers superb value for money. You can expect premium leather uppers, hand-stitched seams, heel-to-heel welt stitching, a leather heel sock and sole, as well as the famous penny slot detailing – all for just £135. Buy them in oxblood for ultimate versatility. Style blogs and publications like to use the term “investment purchase” to justify anything with a premium price tag. 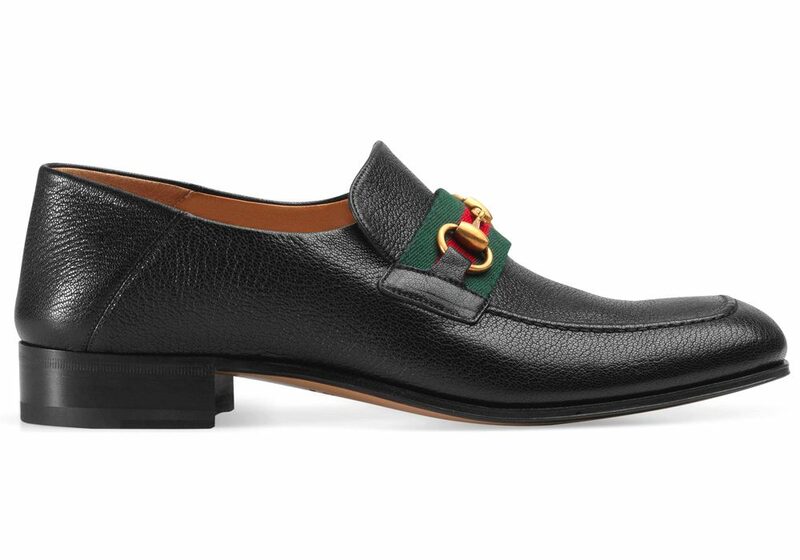 However, Gucci’s horsebit loafer is the only shoe housed in the permanent collection of the Metropolitan Museum of Art in New York, an honour that it has held since 1985 – so although you will be parting with a month’s rent, you’re legitimately buying an iconic piece of menswear. The horsebit detailing pays homage to the Italian fashion house’s roots in equestrianism, while a slightly elongated shape (compared to the original design) brings this classic silhouette bang up to date. Newer models also feature a collapsible heel, allowing them to be worn as slippers – it’s a practical feature that the original adopters of the shoe, the Jet Set generation, would have appreciated when going through today’s high-tech airport security. The quintessential preppy brand, Brooks Brothers were always going to incorporate the loafer into their core offering. The question they needed to solve was how to make the design their own. Cue the tassel. By switching the smart penny slot for a slightly more relaxed tassel detailing, the American brand created arguably the perfect smart-casual shoe. Today, the brand’s premium cordovan leather version is still one of the best you can buy, featuring full-welt construction for durability, a genuine cordovan leather upper and lining, as well as leather soles. And it’s made on home soil in the Good ‘Ol USA. 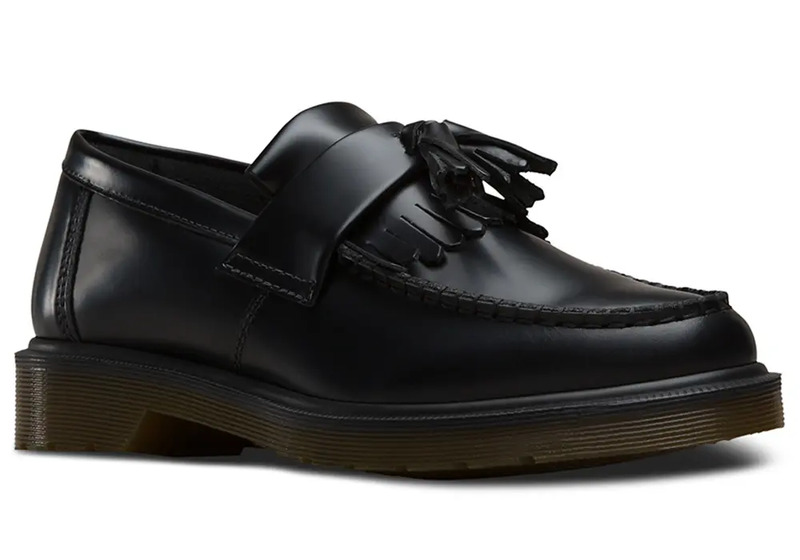 A brand that shuns conformity, Dr.Martens’ take on the loafer is exactly what you’d expect it to be: big, brash, and about as subtle as a kick in the head from one of its 8-eyelet boots. This is the type of shoe you’d expect to see on the feet of rebels and rockabillies, not Jet Setters and Ivy Leaguers. But that doesn’t mean it lacks quality. The brand’s Adrian model is Goodyear-welted (a construction method that allows it to be resoled over and over), features smooth polish leather uppers, and comes complete with its trademark air cushion sole for all-day comfort. Founded in 1879, Crockett & Jones continues to produce some of the world’s finest footwear from their factory in Northampton. And incredibly, to this day, the company is owned and managed by the founding family, who have remained true to its quality and timeless style above all else ethos. Perhaps Ape’s favourite British shoemaker, each and every one of their loafers is handmade by artisans in Northamptonshire. The Crawford model is a standout. Featuring a slightly longer silhouette with a soft round toe, it is formed using Crockett & Jones’ 363 Last (widely regarded as one of their best-fitting), which includes a slimmer heel unit to negate slippage and narrow waist for increased arch support. Crafted from the finest calf leather, this is an impeccable and sophisticated shoe that will work for both business and pleasure.